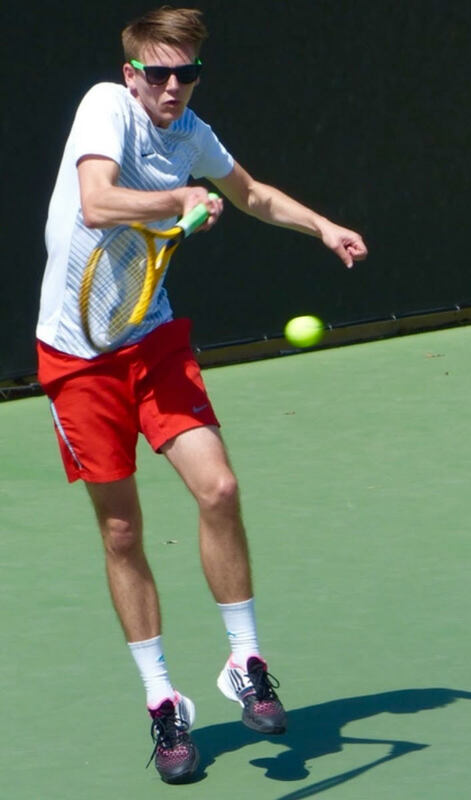 Michael Jones has earned 'Veteran' status after playing 25 matches as a member of Tennis Los Angeles. Michael grew up in the northwestern part of England, and in 2012 moved to North Carolina. He lived on the beach for a few years and traded in the Atlantic for the Pacific, and now resides in sunny Southern California. He works as a server in lovely Santa Monica and in addition to playing tennis enjoys hiking in the area. Thanks Michael for joining us. 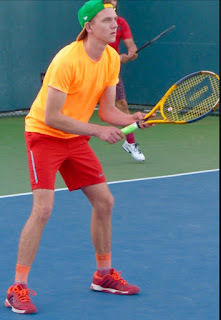 We want to share your experience with TennisLosAngeles.com, a division of the Tennis League Network franchise, as well as a few additional questions about yourself. To get started, when did you first begin playing tennis and what has kept you going? I started playing tennis approximately 8 years ago. I actually started at a later age, but it has really grown on me. I love everything about tennis. Singles and doubles. To me it doesn't matter who I play as long as I'm playing and staying competitive. I haven't been in Los Angeles for long so decided to do some research about tennis leagues and LA. I luckily came across this one on the Internet. Currently, I am a member of the elite division in Tennis Los Angeles. I am currently rated 4.5 in the elite league although I originally thought I was a 3.5 but my game has improved so much in 2016. I'm definitely glad I discovered this league. It is diverse and gives everyone the chance to play people at their level. I believe tennis is for everyone, whether you are beginner or advanced. The more you play the more you improve. I try to play 4-5 times a week. The more I play the more I improve. I like the fact that the league is flexible. I am able to find players at my level and can contact them directly to set up matches convenient for both me and the opponent. After getting a number of matches under your belt, would you consider any of your opponents rivals? One of my biggest rivals is Tim Griffin from the elite league. The first time I played him I lost in three sets in February. That pushed me to work harder on my game. Since then I've beat him three times. I'm definitely doing something right. My favorite pro is Andy Murray. I admire his playing style. He reminds me of myself, I like to think I get a lot of balls back in play. Tennis is not only physical. It is mental. I've had bad days and good days. I remember last year I lost a match and didn't play for two months. I have definitely matured over the last six months in terms of tennis. I motivate myself everyday to play. Some days I play three matches, if I had a choice I would play everyday several times. It's my passion! Great stuff Michael, and thank you again for taking the time to do this interview. Have fun out there this Spring!